Olive Blanche Aston was born circa 1890. 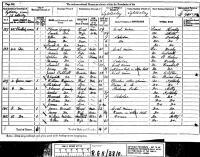 She appeared on the 1891 Census in, Cheshire, , and Oswald Parsonage Aston, William Aston, Eliza Eugenia Aston and Eugenia May Aston were living in the same household; William Aston was the head, a farmer. He was now married to Eliza who had been his dairy maid 10 years earlier. They had three children Eugenia, Oswald and Olive. Also present was Claude Havelock, Charles Spurgeon and William Carey, the children from William's earlier marriage. 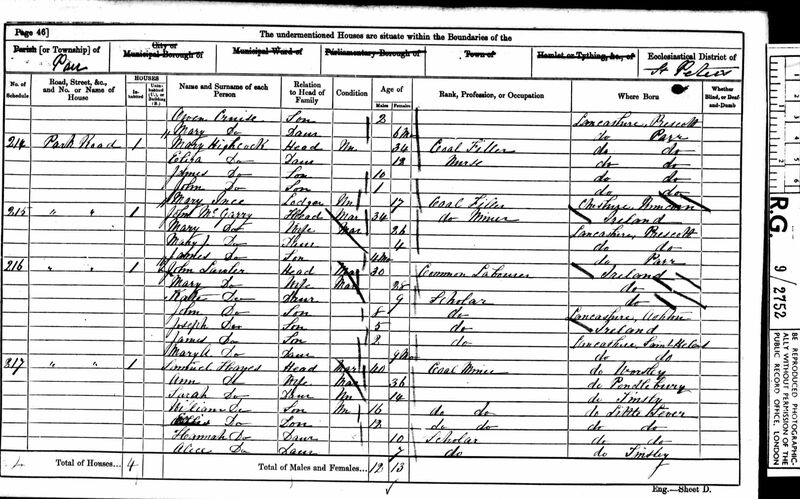 Olive Blanche Aston appeared on the 1901 Census in, Cheshire, , and Eugenia May Aston, Cecil Percy Aston and Eliza Eugenia Parsonage were living in the same household; Eliza was now a widow and still farming with her three children. 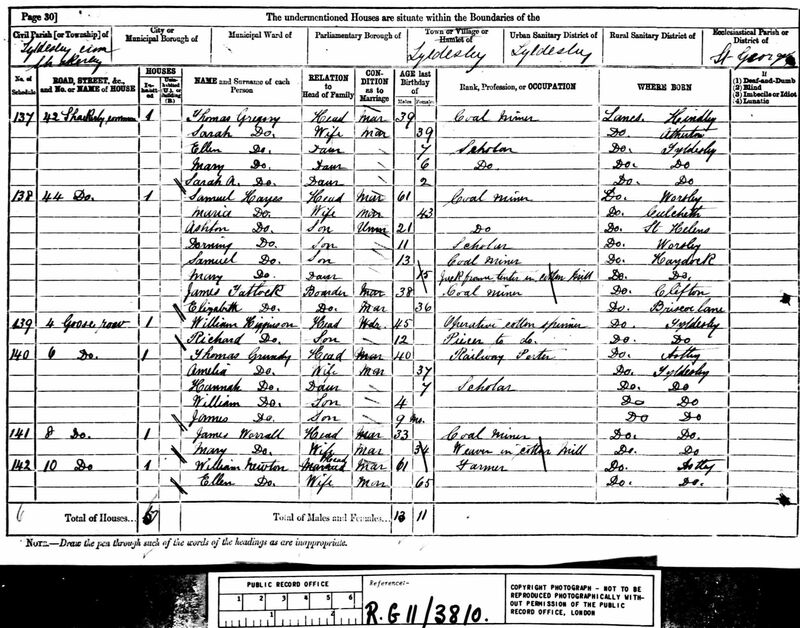 Olive Blanche Aston appeared on the 1911 Census in, Cheshire, , and Oswald Parsonage Aston, Cecil Percy Aston and Eliza Eugenia Parsonage were living in the same household; Eliza was a farmer and her three children were working on the farm. They had a visitor Caroline Penlington aged 74 and a servant Mary Lawson. Cecil Percy Aston was born in 1892. He appeared on the 1901 Census in, Cheshire, , and Eugenia May Aston, Olive Blanche Aston and Eliza Eugenia Parsonage were living in the same household; Eliza was now a widow and still farming with her three children. 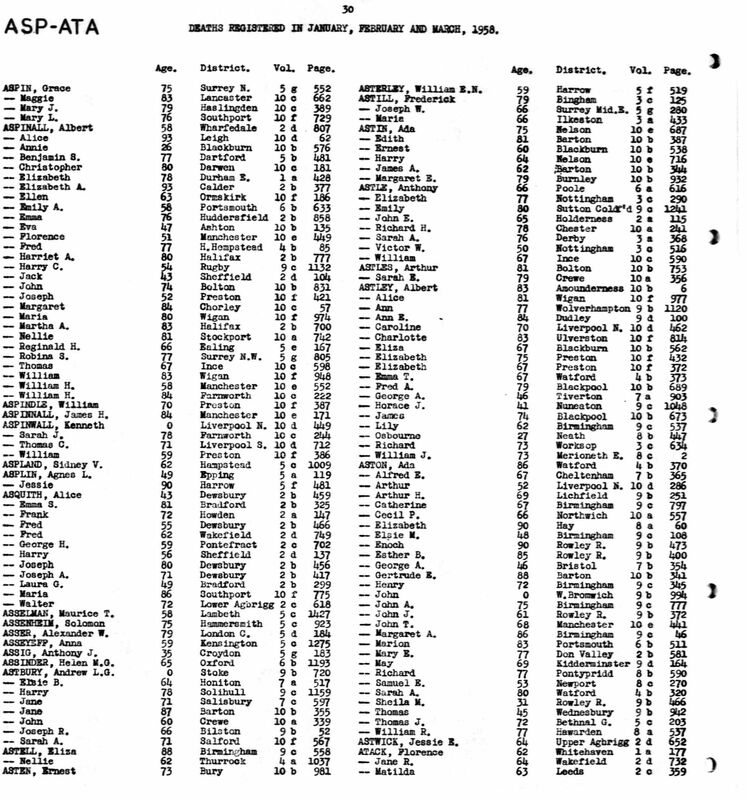 Cecil Percy Aston appeared on the 1911 Census in, Cheshire, , and Oswald Parsonage Aston, Olive Blanche Aston and Eliza Eugenia Parsonage were living in the same household; Eliza was a farmer and her three children were working on the farm. They had a visitor Caroline Penlington aged 74 and a servant Mary Lawson. Cecil Percy Aston died in 1959 at, Cheshire, . George Eaton Shore was born in 1853. He married Emma Louisa Parsonage, daughter of Thomas Parsonage and Frances Elizabeth Blake, in 1882 at, Cheshire, . George Eaton Shore appeared on the 1891 Census in, Crewe, Cheshire, , and Elizabeth Mary Louisa Eaton Shore, John James Eaton Shore, William Eaton Shore, Richard Eaton Shore, Emma Louisa Parsonage and Mary Elizabeth Parsonage were living in the same household; George was the Borough Surveyor and Mary Parsonage his sister in law was a visitor. 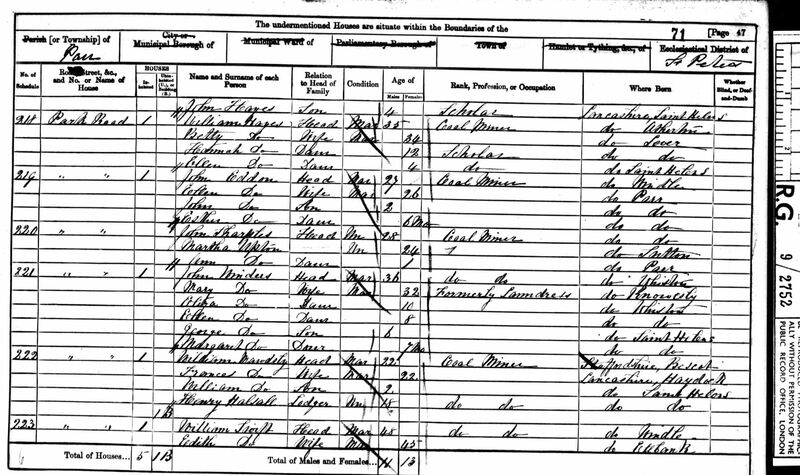 George Eaton Shore appeared on the 1911 Census in, Crewe, Cheshire, , and Elizabeth Mary Louisa Eaton Shore, John James Eaton Shore and Emma Louisa Parsonage were living in the same household; George was the Borough Surveyor of Crewe and his son John was the Assistant Surveyor. Elizabeth Reeves a servant lived with teh family. Elizabeth Mary Louisa Eaton Shore was born circa 1890. She appeared on the 1891 Census in, Crewe, Cheshire, , and George Eaton Shore, John James Eaton Shore, William Eaton Shore, Richard Eaton Shore, Emma Louisa Parsonage and Mary Elizabeth Parsonage were living in the same household; George was the Borough Surveyor and Mary Parsonage his sister in law was a visitor. Elizabeth Mary Louisa Eaton Shore appeared on the 1911 Census in, Crewe, Cheshire, , and George Eaton Shore, John James Eaton Shore and Emma Louisa Parsonage were living in the same household; George was the Borough Surveyor of Crewe and his son John was the Assistant Surveyor. Elizabeth Reeves a servant lived with teh family. John James Eaton Shore was born circa 1884. He appeared on the 1891 Census in, Crewe, Cheshire, , and George Eaton Shore, Elizabeth Mary Louisa Eaton Shore, William Eaton Shore, Richard Eaton Shore, Emma Louisa Parsonage and Mary Elizabeth Parsonage were living in the same household; George was the Borough Surveyor and Mary Parsonage his sister in law was a visitor. 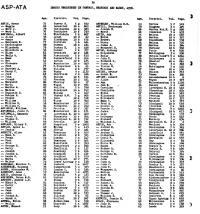 John James Eaton Shore appeared on the 1911 Census in, Crewe, Cheshire, , and George Eaton Shore, Elizabeth Mary Louisa Eaton Shore and Emma Louisa Parsonage were living in the same household; George was the Borough Surveyor of Crewe and his son John was the Assistant Surveyor. Elizabeth Reeves a servant lived with teh family. William Eaton Shore was born circa 1886. He appeared on the 1891 Census in, Crewe, Cheshire, , and George Eaton Shore, Elizabeth Mary Louisa Eaton Shore, John James Eaton Shore, Richard Eaton Shore, Emma Louisa Parsonage and Mary Elizabeth Parsonage were living in the same household; George was the Borough Surveyor and Mary Parsonage his sister in law was a visitor. Richard Eaton Shore was born circa 1888. He appeared on the 1891 Census in, Crewe, Cheshire, , and George Eaton Shore, Elizabeth Mary Louisa Eaton Shore, John James Eaton Shore, William Eaton Shore, Emma Louisa Parsonage and Mary Elizabeth Parsonage were living in the same household; George was the Borough Surveyor and Mary Parsonage his sister in law was a visitor. Elizabeth Black was born circa 1876. She appeared on the 1901 Census in, St Helens, Lancashire, , and John Black, Elizabeth Dearden, George Black, Annie May Black and Mary Ann Black were living in the same household; John the head was a railway engine driver, William was a railway clerk, George a steam engine maker turner, Mary and Annie were assistant school mistresses. George Cashmore married Elizabeth Reddy. Elizabeth Reddy married George Cashmore. Her married name was Cashmore. Thomas Hardman was born circa 1853. He appeared on the 1861 Census in, Prescot, Lancashire, , and Elizabeth Hardman, John Hardman, Margaret Sixsmith, James Hardman, Ellen Hardman and Daniel Hardman were living in the same household; John, the head, was a carter. Elizabeth was a char woman. Also staying at the house was Mary Sixsmith sister in law who was described as an invalid. Thomas Hardman appeared on the 1871 Census in, St Helens, Lancashire, , and John Hardman, James Hardman, Ellen Hardman, Samuel Hayes, John Hayes, Ashton Hayes, Mary Hayes, Samuel Hayes and Elizabeth Hardman were living in the same household; Samuel Hayes the head was a collier. Thomas, James and Ellen were recorded as step children. John Hardman was a labourer and recorded as a boarder. James Hardman was born circa 1855. He appeared on the 1861 Census in, Prescot, Lancashire, , and Elizabeth Hardman, John Hardman, Margaret Sixsmith, Thomas Hardman, Ellen Hardman and Daniel Hardman were living in the same household; John, the head, was a carter. Elizabeth was a char woman. Also staying at the house was Mary Sixsmith sister in law who was described as an invalid. James Hardman appeared on the 1871 Census in, St Helens, Lancashire, , and John Hardman, Thomas Hardman, Ellen Hardman, Samuel Hayes, John Hayes, Ashton Hayes, Mary Hayes, Samuel Hayes and Elizabeth Hardman were living in the same household; Samuel Hayes the head was a collier. Thomas, James and Ellen were recorded as step children. John Hardman was a labourer and recorded as a boarder. Ellen Hardman was born circa May 1860. She appeared on the 1861 Census in, Prescot, Lancashire, , and Elizabeth Hardman, John Hardman, Margaret Sixsmith, Thomas Hardman, James Hardman and Daniel Hardman were living in the same household; John, the head, was a carter. Elizabeth was a char woman. Also staying at the house was Mary Sixsmith sister in law who was described as an invalid. Ellen Hardman appeared on the 1871 Census in, St Helens, Lancashire, , and John Hardman, Thomas Hardman, James Hardman, Samuel Hayes, John Hayes, Ashton Hayes, Mary Hayes, Samuel Hayes and Elizabeth Hardman were living in the same household; Samuel Hayes the head was a collier. Thomas, James and Ellen were recorded as step children. John Hardman was a labourer and recorded as a boarder. Samuel Hayes married Ann (?). Samuel Hayes was born circa 1821 at Worsley. He married Elizabeth Hardman, daughter of John Hardman and Margaret Sixsmith. Samuel Hayes appeared on the 1871 Census in, St Helens, Lancashire, , and John Hardman, Thomas Hardman, James Hardman, Ellen Hardman, John Hayes, Ashton Hayes, Mary Hayes, Samuel Hayes and Elizabeth Hardman were living in the same household; Samuel Hayes the head was a collier. Thomas, James and Ellen were recorded as step children. John Hardman was a labourer and recorded as a boarder. Her married name was Hayes. Ann (?) married Samuel Hayes. Ann (?) was born circa 1825 at Pendlebury. Sarah Hayes was born circa 1847. William Hayes was born circa 1845 at Little Lever. Ellis?? Hayes was born circa 1849 at Little Lever. Hannah Hayes was born circa 1851 at Little Lever. Alice Hayes was born circa 1854 at Little Lever.